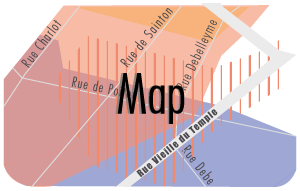 Haut Marais Paris: FDKL et Galerie Tarasieve group show ! Petite prise de vue 'en passant' devant la galerie Tarasieve (expo Summertime, un group show avec Romain Bernini, Gil Heitor Cortesão, Russell Crotty, Oren Eliav, Dan McCarthy, Jean-Luc Moerman, Jacques Monory et Shanthamani. M) avec un collage de FKDL ! 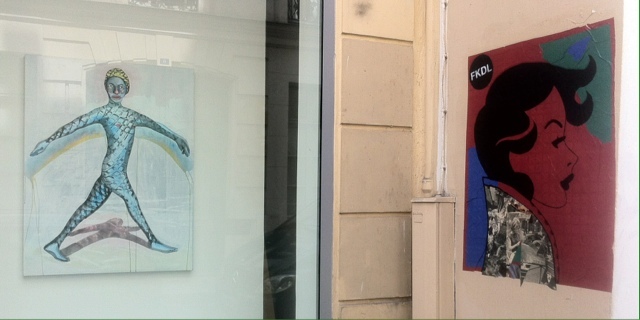 Passing by Galerie Tarasieve, I spotted an FKDL street poster !. Atr vs Street Art. The gallery's current exhibition is a group show called summertime with Romain Bernini, Gil Heitor Cortesão, Russell Crotty, Oren Eliav, Dan McCarthy, Jean-Luc Moerman, Jacques Monory and Shanthamani. M.